Anyone interested in a more contoured jawline and slimmer face? [Insert hands raised emoji] Let me introduce you to the most effective skincare item on the market, period. It actually does what it says it does, and noticeably so. 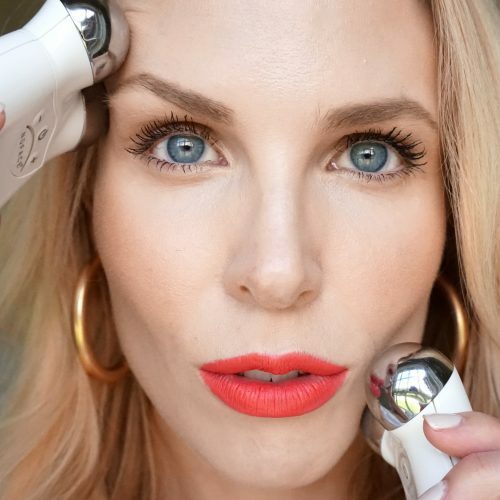 Even though I will never be without the other products that made my Top 5 countdown, the Clarins V-Facial Intensive Wrap (formerly known as the “Shaping Facial Lift Wrap”) is a contouring mask that is my hands-down winner in terms of product efficacy and how often I used it throughout the year. In case you had a picture of saran wrap in your head, the Clarins V-Facial Intensive “Wrap” is just a normal cream mask. 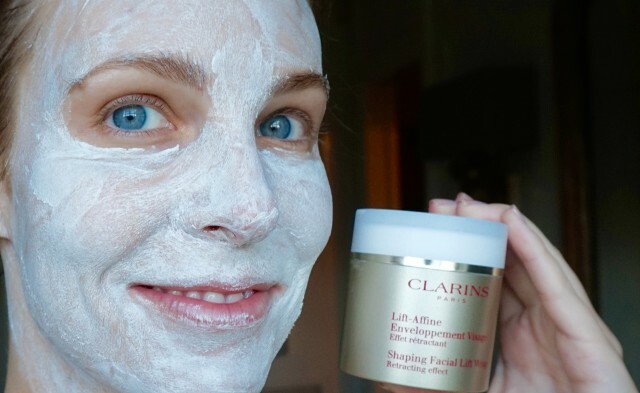 The product was first released in Asia, and they call masks that are fast acting with immediate, dramatic results “wraps.” The Clarins V-Facial Intensive Wrap contains gingko biloba and Chinese barley to depuff, and also purifying kaolin clay (but not so much that it feels drying at all). Interestingly, there is no de-puffing caffeine in the mask, but caffeine is an ingredient in the Clarins Shaping Facial Lift Serum. 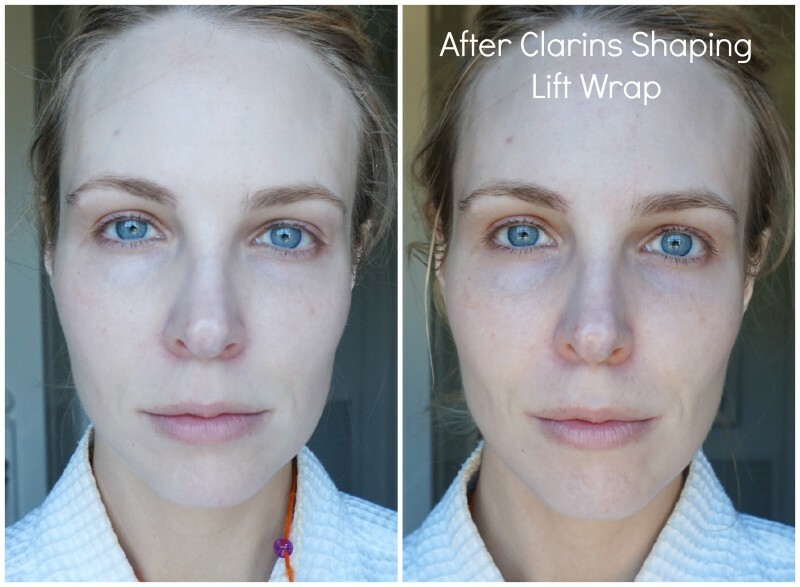 One thing to note about the Clarins V-Facial Intensive Wrap is that it not only de-puffs and slims the face, but it also instantly brightens skintone and mattifies due to its Lady’s Mantle extract and White Clay. This dual action makes this mask a must-have star for morning of an event. You can tell my cheeks have deflated in the ‘After’ because the nasolabial fold is more prominent. 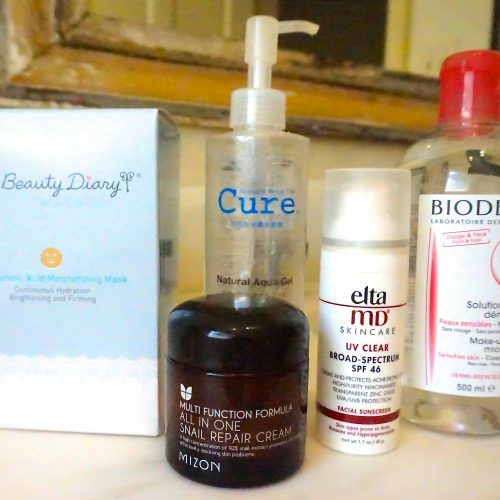 To remove, just splash cold water on your face, pat dry, and continue with your normal daytime skincare. 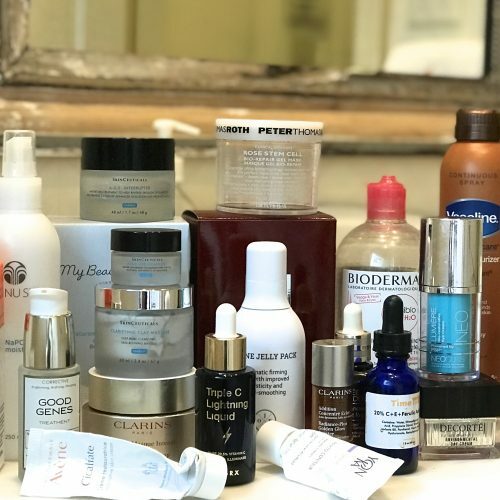 For me that is SK-II Essence, followed by Skinceuticals CE Ferulic (or right now I’m experimenting with a supposed $20 dupe), then Mizon All-In-One Snail Repair Cream, then Elta MD UV Clear sunscreen. 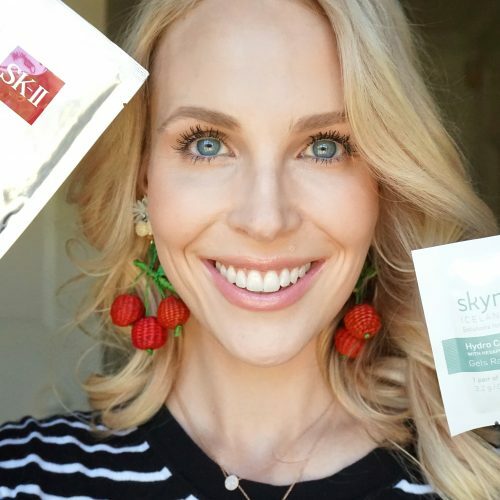 I recommend the Clarins mask to brides for morning of their wedding for to de-puff, followed by an SK-II sheet mask for radiance. Consider for a moment your rehearsal dinner, a once-in-a-lifetime event where all your best friends, from each stage of your life, convene in the same room. To toast you! If ever there were a time to eat, drink, and be merry, this is it. And yet! The next day you must look the absolute best you have ever looked in your life. 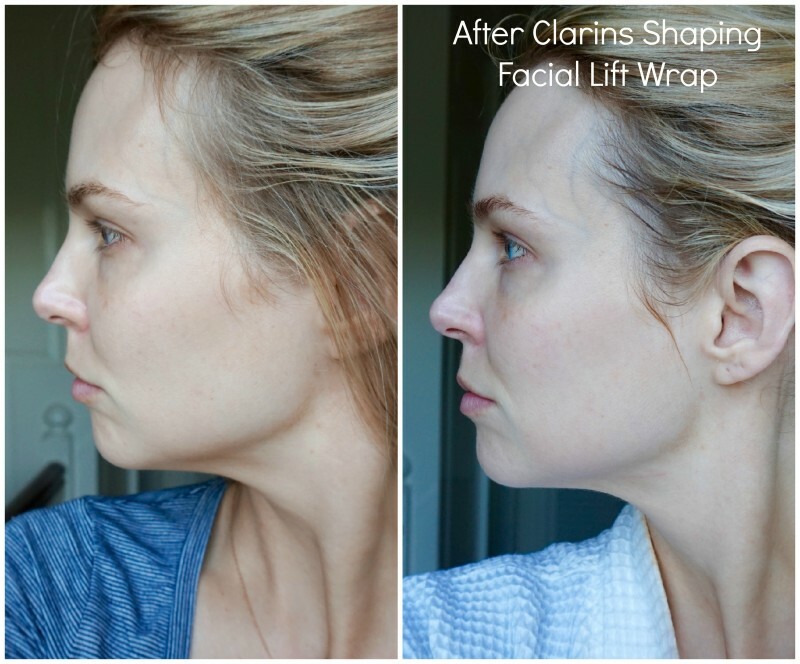 The Clarins mask is key to de-bloat that carb face and snap your jawline back to photo-readiness. But it’s not just for brides! At $60 for a generously sized jar, you don’t have to be so precious with it. You better believe I will be scooping my Clarins V-Facial Intensive Wrap into a TSA-approved container for my upcoming 15 year college reunion. 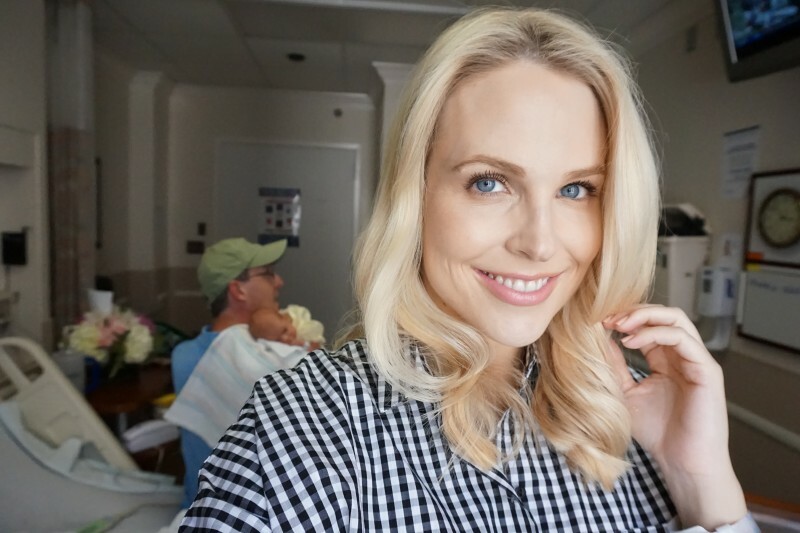 And what about when you have a baby and they pump you full of fluids? Followed by LOTS of photos of the blessed event, featuring mom in all her puffy-faced glory. 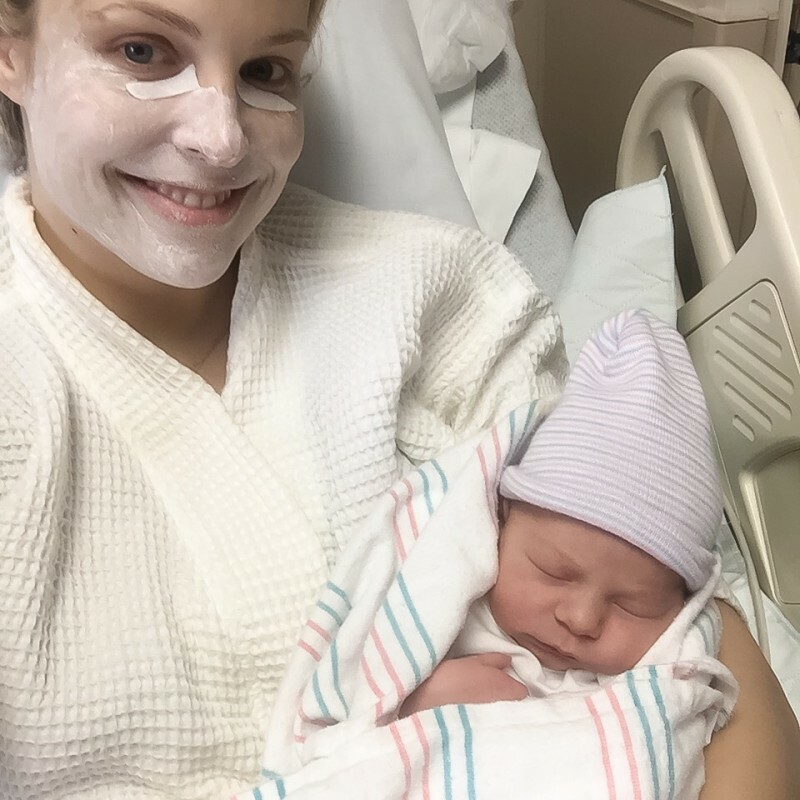 I brought my Clarins face mask (plus Skyn Iceland patches to de-puff my eyes) to the hospital when I had Evie , and I think I looked way more like myself leaving the hospital than when I had the boys. As an aside, many have asked whether I think the Clarins mask or the V-Shape Serum are more effective. I have a whole post comparing the mask vs. the serum here, but in short I think that using the serum in tandem with the mask makes your contouring results even more dramatic. But if you were to only pick one, the mask gives you more immediate results. 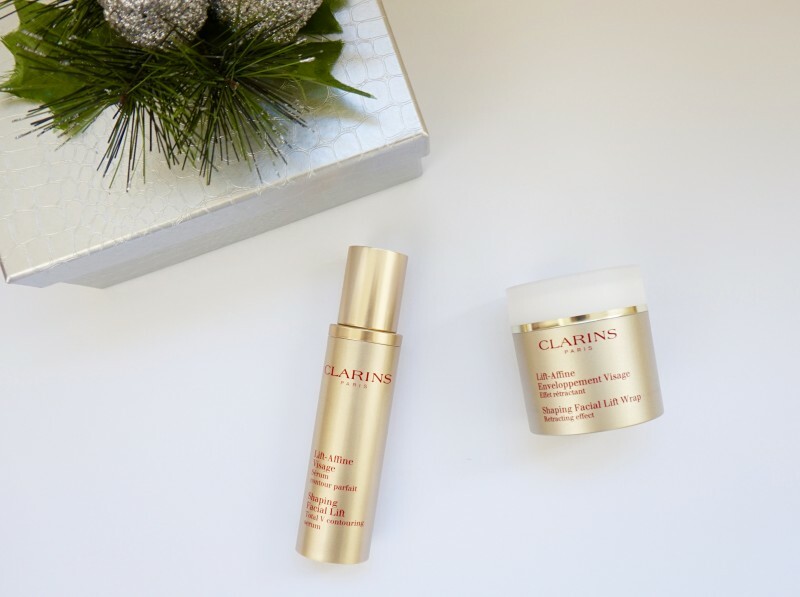 Also note that this near-magical Clarins mask is available only at Sephora, while the serum is available at most major retailers like Nordstrom. 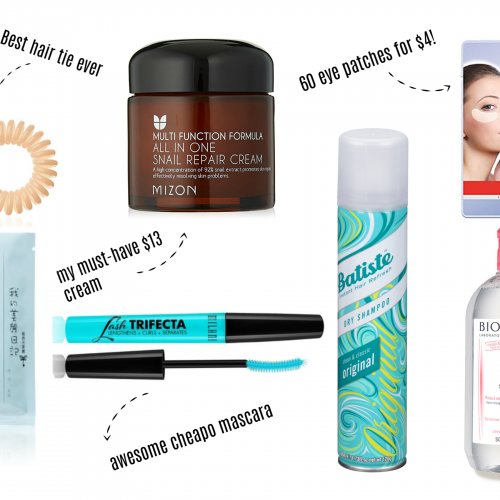 If you missed the rest of my countdown, my #5 pick is the best budget sheet mask, #4 is a $14 face cream to solve all skin woes, #3 is the mask set I can’t live without, and #2 is the best at-home glycolic peel.